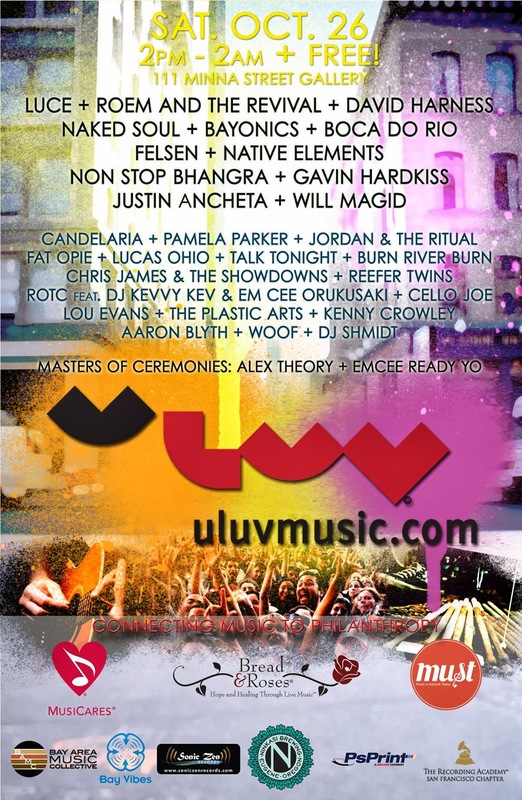 I'll be playin at ULUV 2013, A donation based, Bay Area music festival for charity celebrating everything ULUV. On October 26th ULUV will take place at 111 Minna Gallery and on Minna Streets 100th block. The event will feature 3 stages, cover all genres represented in the Bay Area, showcase over 40 local artists, as well as celebrate local art, food, and beer. All donations collected at the event and proceeds from VIP tickets will go to support 3 music charities, Bread and Roses, Music in Schools Today and MusiCares. Charity Info: Bread and Roses - Brings music to those who need it most, providing free, live, quality entertainment to people who live in institutions or isolated care centers. MusiCares - A safety net for musicians, providing critical assistance such as financial support, medical and dental assistance. A free dental clinic will be held for participating ULUV musicians. Videos from "You're Going to Die Poetry Night"
Performances from You're Going to Die Poetry night in the mission in San Francisco. Cello Joe - GetAround from matbrady on Vimeo. Cello Joe - Travel from matbrady on Vimeo. Cello Joe - Short Little While from matbrady on Vimeo. Cello Joe - Life from matbrady on Vimeo. Cello Joe - Coming To Kill You from matbrady on Vimeo. Cello Joe from Max Silverman on Vimeo.